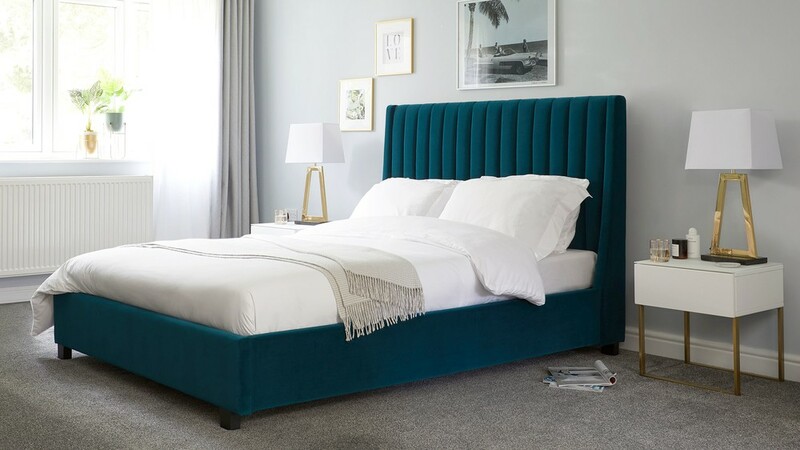 The Amalfi king size bed combines a considered shape and handy storage with a rich peacock velvet upholstery. 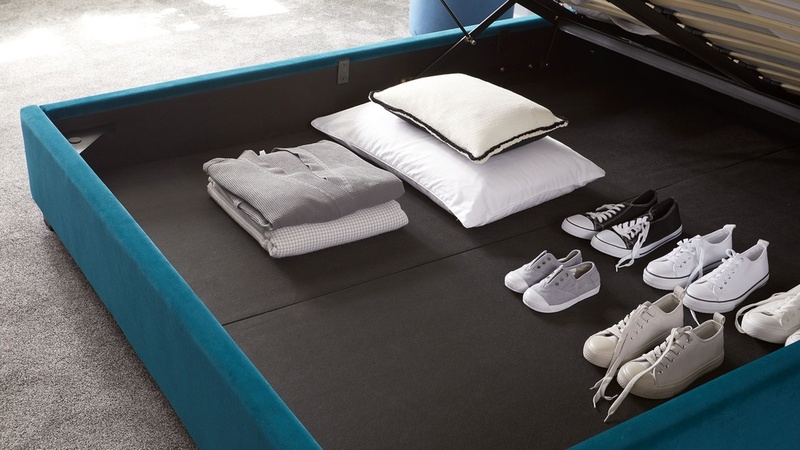 This bed is perfect for those who want the option of storage alongside a modern luxe design. 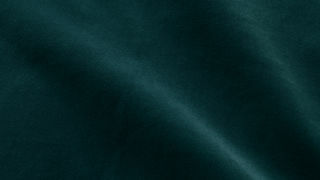 The peacock velvet is a dark teal colour, so it has lovely rich appearance without being too dark. Because velvet has a pile, it naturally reflects the light so the colours actually feel lighter than they seem. The Amalfi king size bed has sprung slats which helps to increase the overall comfort. This is because your bed is effectively helping your mattress be in the best, most supportive position. It's a really premium feature that will help you get the most out of your bed and mattress. 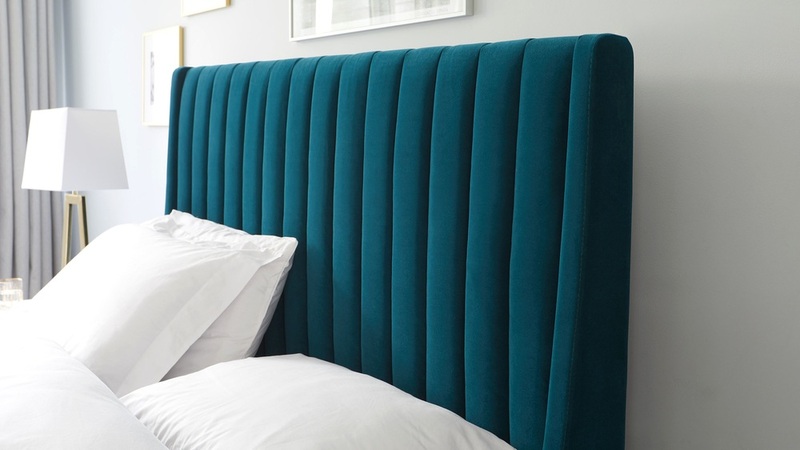 The ottoman base of the Amalfi bed is neatly concealed by simple side rails. The hydraulic piston mechanism is what makes the bed frame so smooth and easy to lift. The flat hardboard base is a great use of space for items that are being stored for a longer amount of time and need to be properly housed. The Amalfi king size bed is also available in a double or super king size depending on the size you need for your space.